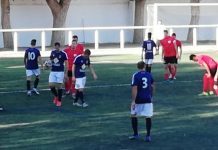 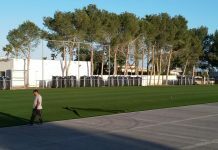 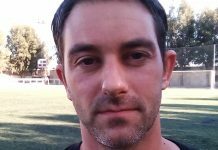 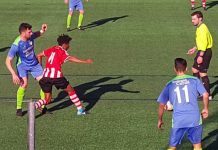 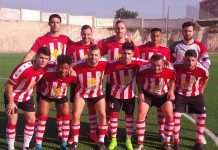 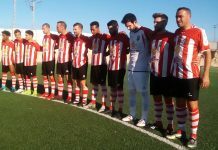 CD Montesinos coach Carlos Perez and his assistant Angel Ivan will not be getting carried away following promotion to the 1st Regional division of the Valencia football league. 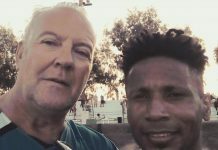 “Next season will be one of settling in to the 1st Regional league,” Carlos exclusively told me. 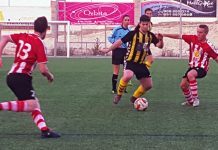 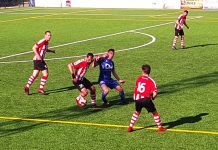 Former CF Torrevieja player Carlos, who replaced sacked Camacho in October, led CD Montesinos to the Championship title of the 2nd Regional Group this season. 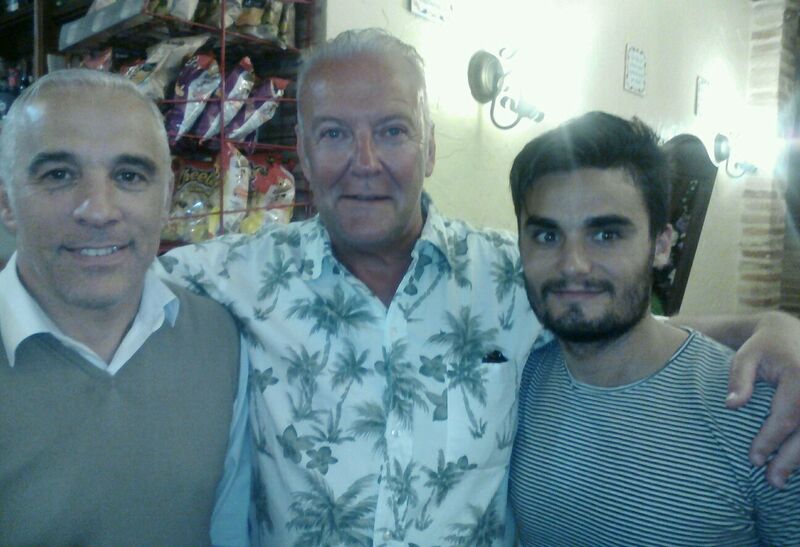 “I will be looking to strengthen the squad with an additional four players during the summer,” Carlos told me. *Coach Carlos Perez, Andrew Atkinson and assistant Angel Ivan at the CD Montesinos player of the year awards.